Although practitioners of the mystic arts are scarce within the often superstitious and religious lands of the West, many magi have made the pilgrimage from the Far East to see for themselves what horrors lie beneath the ruined Cathedral of Khanduras. 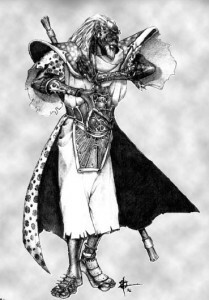 The veiled Brotherhood of the Vizjerei, one of the eldest and most dominant mage-clans of the East, has sent many of its acolytes to observe the dark events unfolding in Khanduras first hand. The Vizjerei, known for their brightly colored turinash -or spirit-robeshave taken a keen interest in both gathering knowledge of demons and seeing them slain. The Vizjerei elders hope that their acolytes will learn the secrets of the dark evil that they sense growing in the West and can destroy it. The possibility of discovering long-lost tomes of magical knowledge within the confines of the labyrinth has also captured the interest of many wandering Sorcerers. Most magic in Khanduras is in the form of enchanted items and elixirs. The Eastern Sorcerers have developed a greater understanding of spellcasting than the other classes, and while a Vizjerei neonate knows only the simplest of spells to start, he can expect to rapidly grow in power as he discovers new incantations. All Sorcerers possess the ability to recharge spell staves by drawing power from their surroundings and channeling them through the staff. 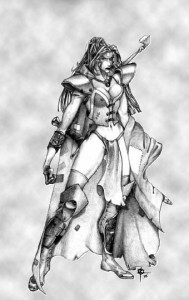 The Sisters of the Sightless Eye are a loosely organized guild shrouded in mystery amongst the peoples of the West. These highly skilled archers employ ancient Eastern philosophies that develop an inner-sight that they use both in combat and to circumvent dangerous traps that they may encounter. Known only as wandering Rogues in the West, the Sisters conceal their secret affiliation by posing as simple travelers. Many pompous fools have made the mistake of underestimating these steel nerved women in combat and paid a terrible price for their vanity. The strange events transpiring in Khanduras have caught the attention of many of these Rogues. They have come from as far as the Eastern dunes to test their skills against the dark evil that is said to be lurking in Tristram. It is also believed that untold riches wait to be discovered among the ruins of the Horadrim monastery. Although not as powerful in close combat as the Warrior, the Rogue is the undisputed master of the bow. A skilled Sister can send a stream of arrows at an opponent, each fired with a seemingly careless precision. The innate sixth sense that all Rogues seem to possess also allows them to sense trapped fixtures, and aids them in attempts to disarm these traps. The Warriors of the lands of Khanduras are well trained in all of the weapons of war. Ranging from crusading paladins to unscrupulous mercenaries, Warriors can be found wherever there is conflict amongst their countrymen. Many of these adventuresome men joined with King Leoric’s army and went to battle against the Northern kingdom of Westmarch. As the fires of war burned themselves out, these Warriors returned home to find their kingdom in shattered disarray. Dark rumors of the mysterious demise of King Leoric abound and the evil that lurks within his Cathedral has drawn many Warriors to Khanduras seeking fortune and glory. Though they were warned by the people of Tristram, a few of these brave souls have ventured into the chaotic labyrinth beneath the old church- never to be heard from again? Whether they are driven by valor, honor, madness or greed, new Warriors arrive in Tristram every day, ready to challenge the dark unknown that awaits them beneath the earth. 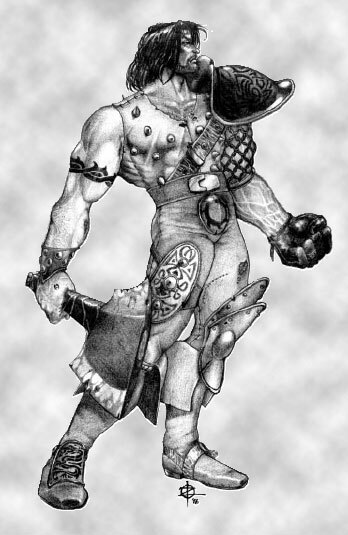 The Warrior is the strongest and toughest of the three available Classes, and he excels in the art of close combat. His primary weakness is that his extensive physical training has left little time to develop more than a rudimentary knowledge of magic. The extended periods of time that most Warriors spend away from their homes and civilization requires that they learn to repair their own weapons and armor, although their skill is no match for the talent of a true blacksmith.